Do you meet your step count goal every day? Regular walking is one of the best things you can do for your joints and muscles, especially if you’re recovering from an injury. 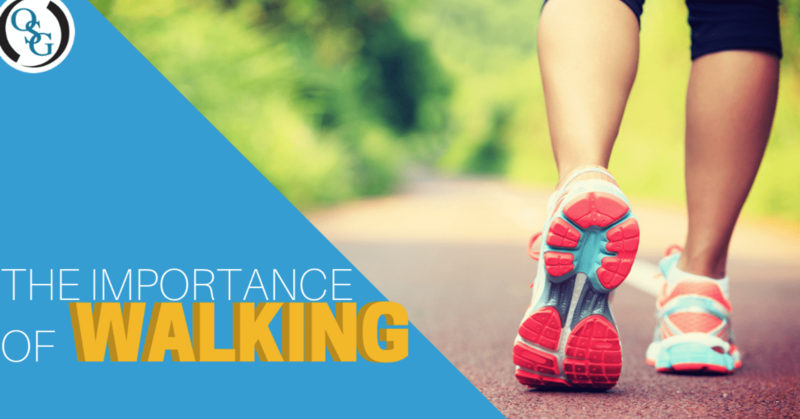 We see many patients who are in recovery from orthopedic injuries such as auto accidents, and we often recommend daily walking as a stepping stone to recovery and continuing good health. Here’s why. Walking is a gentle, low-impact exercise that just about anyone can do. But it’s also surprisingly effective at keeping you fit. Walking engages the muscles in your core, buttocks, thighs, and calves — in fact, some people think of walking as a full-body exercise. What does this mean for you? In order to stay healthy and avoid getting injured during your day-to-day life, it’s important that your muscles are strong enough to support your joints. This also prevents your joints from getting overworked, which lowers your risk of developing osteoarthritis later in life. And if you’re recovering from an injury, it’s especially important for you to maintain strong, supportive muscles that allow your damaged tissues to heal correctly. Your weight affects the health of your joints — there’s no way around it. The more you weigh, the more pressure your joints have to bear to support you. This means that managing your weight is one of the most important things you can do for the health of your joints. Walking is a fantastic way to lose a few pounds or keep your weight stable. If you weigh 180 pounds, every mile you walk burns 100 calories, so walking several miles a day — without changing your diet at all — will have you losing a pound every two weeks, which is a healthy and sustainable rate of loss. Walking is simple enough that it’s easy to fit into your day — just about everybody can go for a walk after dinner, for instance. It’s also gentle enough that you can start a walking regimen no matter what your current level of fitness is like. If you don’t walk regularly, consider adding this simple exercise to your daily routine for better overall health.